I discovered woven wraps quite late in what may be a relatively short babywearing stage in one´s life. My son was about 6 months old when we wrapped with our first high quality woven wrap. After a traumatic birth and an uphill battle to succeed in breastfeeding, babywearing embraced us, as it does with everyone who wants to carry a baby, be it biological parents, adoptive parents, other family members or friends. Babywearing is as rewarding as it is accessible, and does not betray your love and nurturing feelings. Before I could acknowledge and verbalize what babywearing meant to us, the benefits and joy it brought to us, I was, strictly speaking, toddlerwearing, and no longer babywearing. As I favored woven wraps with two wefts, and preferably with complementary blends, like cashmere and silk, from a wearing comfort point of view I did not feel the transition to a new stage of our wearing adventure or my son getting heavier, nor did I paused to think about it the moment he turned 1 year old, but the questions started. If babywearing is getting more and more acceptance, especially with with stretchy wraps and soft structured carriers being available in the shops next to the strollers, toddlerwearing in a way, goes against a trend in the modern parenting approach – the race to get your child to be independent as soon as possible, to reach milestones and stages, to leave behind preference for things that are considered acceptable only for babies, like a comforter, pacifier, diapers, night nursing, co-sleeping, etc. “Is he not walking yet, maybe it is because of the wraps? For how long will you wear him? Until he walks? Until he runs? 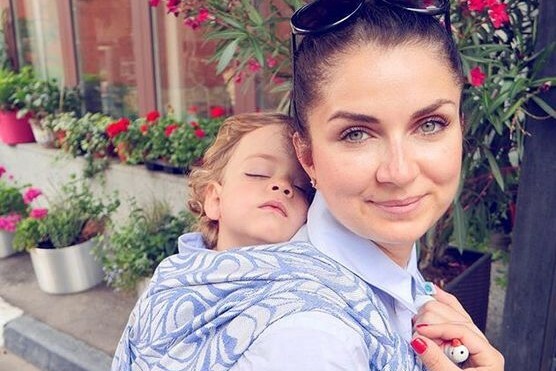 It is called babywearing, doesn´t it mean it is only for babies?” I have not conducted a study on the pros and cons of toddlerwearing, so I can only share some of my thoughts and experiences while I continued to wear my child in a woven wrap past his 1st birthday. A woven wrap does not come with an age appropriate label, or instructions until what age or child height is appropriate to babywear. Comfort and safety aside, the act of babywearing and toddlerwearing is between the wearer and the child, and is dependent on their personal circumstances and preferences. In my view, the transition from babywearing to toddlerwearing is a process based on trust, respect – a dialogue between the mother and the child, a negotiation of both their needs. Emotionally, I know for sure I was not ready to stop wearing my child when he turned one. As Elizabeth Stone beautifully put it, once you have a baby, forever you have your heart walking around outside your body. That moment when you face your deepest vulnerability, acknowledging the fragility of life, but at the same time the love you feel makes you strong and eternal – the motherhood metamorphosis seemed gentler on me holding my heart closer to my heart a second longer, and a second longer… From a nurturing point of view, I have no doubt that toddlerwearing has helped us continue the breastfeeding journey longer than we ever hoped for, despite all the challenges we faced in the beginning. I feel him at peace, relaxed when he comes to nurse in a front carry, it is his safe harbor when he is tired, hungry, unwell, or just misses me being away from him. And then it is of course the sleeping challenge…Even though we hoped for, and used many gentle sleep routines, our son´s sleep has not improved once he became a toddler, and an evening stroll cuddled in a wrap, close to my heart or with his hand around my neck remained the easiest and most reliable way of helping him fall asleep and move gently from one sleep cycle to the other. We learned to accept this routine and make the best of it, either as a family walk, or “boys time” – my husband and him going out to explore the city. After a few months my husband became more interested in photography and his passion for city landscapes and lenses gave him a better understanding of my wrap hobby. And talking about city landscapes, we might be humming “Fields of Gold” during our strolls through Moscow, but the reality is “Big City Life” would be more appropriate. Narrow sidewalks, large boulevards, underpasses, millions of cars, extended distances between parks and family attractions – without wearing our toddler in the busiest parts of the city, or when he is tired, our family city tours would not be possible or we would have to simplify them, limit them to the routes accessible by toddler feet, strollers or contemplate being stuck in traffic for hours. We have reduced the intensity of the international traveling we used to do before having children, but we are travelers. Busy places, quick transfers, piles of luggage and tight security on one hand, and curious toddlers on the other can be a challenging combination – this is where the convenience and security of toddlerwearing through airports, security controls and airport trains is priceless. 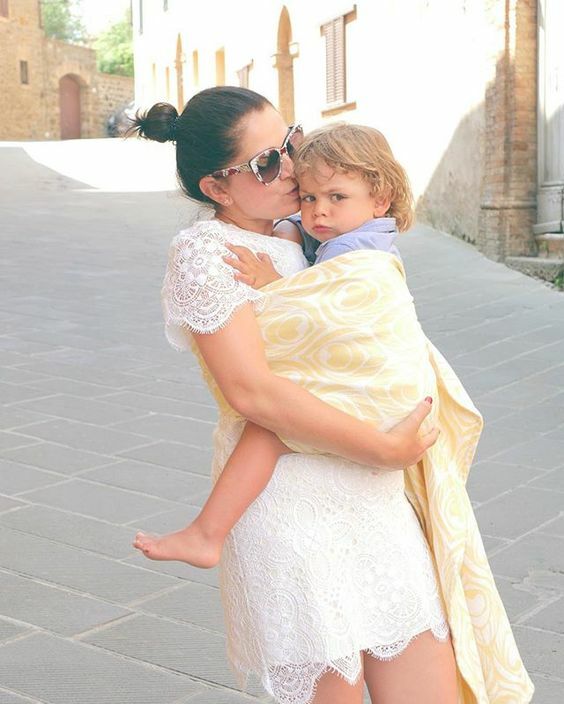 The same with the comfort a familiar wrap can offer him when we are in a new place, or meeting new people, or the freedom of exploring new places knowing that when needed he can rest in a wrap or a ring sling that is easy to carry in a handbag or a backpack. Wrapping him in his first year of toddlerhood was probably easier than before, as he was more agile at putting his hands around my neck for a back carry, communicating if he wanted a front or a back carry, a one layer carry, something with more movement freedom, or just a nursing carry I did start feeling a difference in what we have been using to toddlerwear once he turned two: we discovered the love for Ring Slings, for shorter wraps with heavier grams per square meter (gsm), and even became friends with the sturdy linen blends. My return to work has made the most significant impact on our toddlerwearing time, more significant than his age. While the time we wrap has been reduced to evenings, weekends and vacations, wrapping is helping both of us to adjust to this change. A walk in the neighborhood after work, in a cozy wrap helps me learn so much about his day – I know from the way he cuddles in the wrap if he is tired after a playful day, or agitated, hungry, unwell, or just happy he is close to me. While I know that soon we will not use wraps any more, and there is a bitter sweetness about that, I know that the bond that we have established and memories that we have created while toddlerwearing are a real treasure for my relation with my son and that they will last forever and a day.